Sometimes I really hate Lego-minifigures! There, i said it! “Why?”, you ask? Well, for two reasons actually so keep reading to find out. Mostly people think that the problem with Lego-minifigures is their limited movement capabilities and minimal possibilities of conveying emotion. While these two things do pose a problem sometimes, overall, these things are no problem and actually force you, as a photographer, to be creative in order to get the most emotion as possible out of your minifigures. I happen to like that. 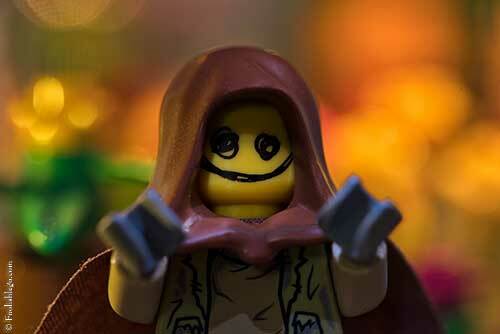 How to get more emotion into photo’s of minifigures? There are many options; the one I’d like to discuss now is lighting the subject; in the studio. 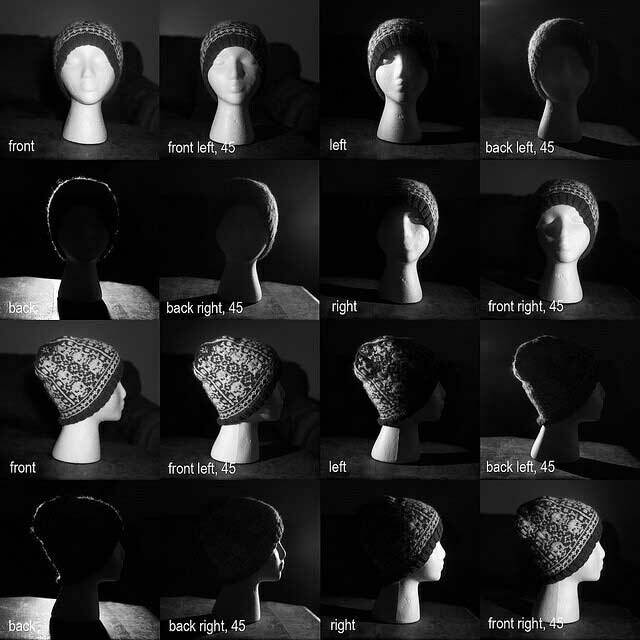 Many of you might know about the three point lighting principle. This principle can function as a basic template of how to light your subject. This concept was created for theater purposes, so every actor on stage was lit by three lights, one 45 degrees to the left, the other 45 degrees to the right and one behind the actors. The primary reason was that everyone in the audience would see the actors optimally, no matter where their seat was. Basically this principle is still used a lot, of course with many variations. In many pictures I tried this too; however, it almost never looked very good because I didn’t have the proper lights. Nevertheless, I kept trying and now that use a range of daylight-lamps combined with lights from the company Brickstuff I’m finally getting there. Lighting your subject this way, brings it to live, conveys different emotions, brings depth to your pictures and many other things. A key-light: the brightest light hitting your minifigure. This is also the light that needs to look like its coming from a logical source within or outside of the borers of your frame/ scene. A fill-light: a softer light that will fill the shadows produced by the key-light. 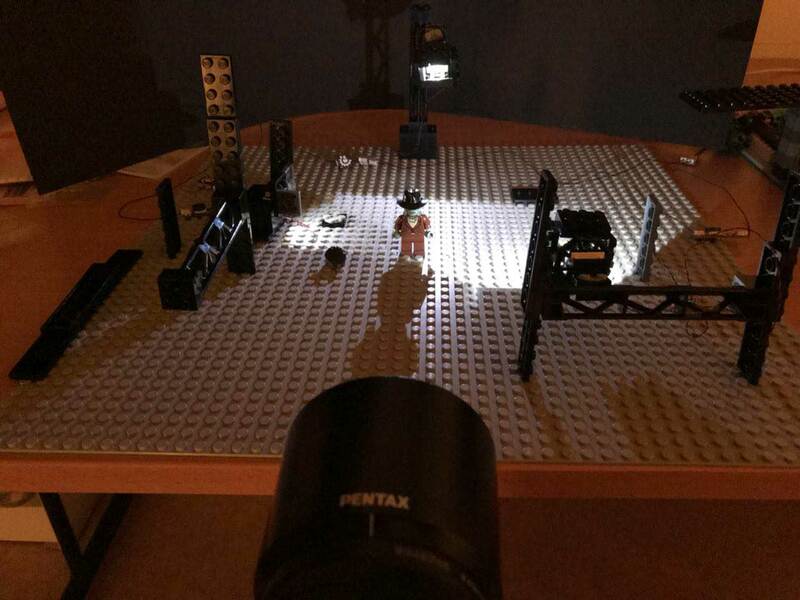 A backlight: a light at the back of the subject, opposite of the key-light, this will separate your minifigure from the background. As I said, there are many variations and additions, dependent on what the scene is about. Sometimes more lights are added to light the actors, though some of these are better not used on minifigures; an eye-light is useless in minifigures (I sometimes add this subtle effect in photoshop), a kicker (a light that hits the shoulder/ side of the head) should be used with care and a costume light. That last one is self-explanatory and might be helpful for lighting the torso and legs of the minifigure. On the other hand, sometimes one or two lights are enough, a dark side of a head introduces a different sentiment in a scene than a head that is lighted frontally for example. Some of you might have seen that I seemed quiet happy with this photo. The main reason was that it was the first time I successfully lighted Dwaas exactly as I wanted out of the camera and didn’t need any photoshop to adjust lighting at all. I used three light, a key on the left frontal 3/4, a backlight straight behind Dwaas and a small kicker on the left of Dwaas. There were two versions the one published, is the one without the kicker. One of the readers mentioned in a comment that he found Dwaas was a little too dark; I guess that’s a matter of taste. The kicker does add a little more lighting from the right separating Dwaas from the dark. However, I like the fact that Dwaas (who LOVES the dark), is mostly in the dark, like the mystery he is to most people around him. Below you can see the difference with or without the kicker. Of course this image is very conceptional. So I am trying to incorporate variations of this principle into the comic. You may notice these principle in, amongst others, this episode. Panel four is based on this principle. The key-light from the left front is a little lower on Dwaas’ head to express dark thoughts, there is a fill-light frontal above and a backlight from the store-window. There is also a kicker from the right with the same warm light from the store. In each panel the lighting is adjusted a bit. More on that in another post. So, do I really hate Lego-minifigures… sometimes? Oh, I started this post stating that I hate Lego-minifigures sometimes, can you guess the reasons? Well, the minor one is that there are no shapes so the shadowing mostly falls a bit flat. The other (really annoying thing) is that minifigures reflect like crazy! That messes with lighting setup and is the main reason for using photoshop. I managed to avoid reflections in the dark photo of Dwaas, but that is not easy and I still need to refine techniques for that. As I’m using LLD to build, I don’t have problem with lights, as I don’t have any light at all LOL… I have to find other ways to create an atmosphere or an emotion, so I’m “cheating” a little bit and mix minifigs’ head (mouth, eyes, eyebrows) to get what I want. Anyway, it’s really interesting to see how you work and I’m sure this will inspire a lot of people. Yeah reflections are the worst indeed. I heard of some kind of spray that limits reflections…. but I am afraid to get and use it for fear of the mess it could give. I was thinking about the same thing, I mean a product you could put on minifigs to reduce the reflection (though I have no idea what it could be LOL). Maybe trying it on minifigs you don’t use/like.